If you’re interested in how things work, this guide will help you experiment with one crucial system you usually ignore—your body and its health. 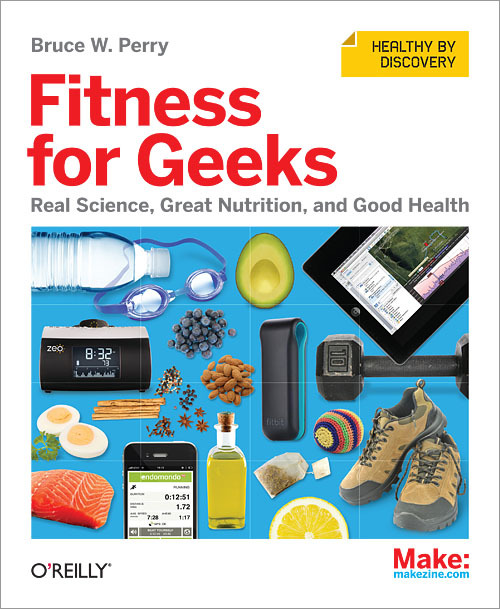 Long hours focusing on code or circuits tends to stifle notions of nutrition, but with this educational and highly useful book you can approach fitness through science, whether it’s investigating your ancestral health or using the latest self-tracking apps and gear. Tune into components of your health through discussions on food, exercise, sleep, hormesis, and other issues—as well as interviews with various scientists and athletes—and discover healthy ways to tinker with your lifestyle.